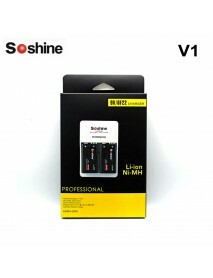 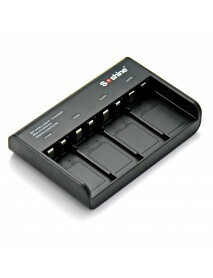 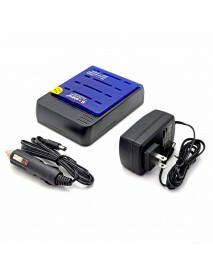 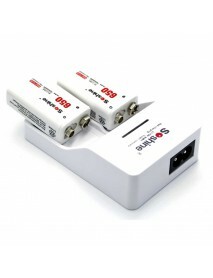 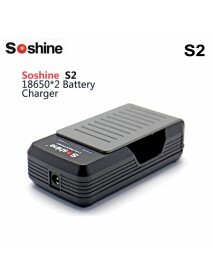 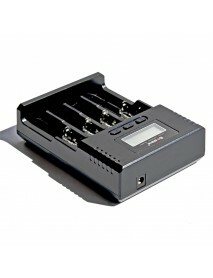 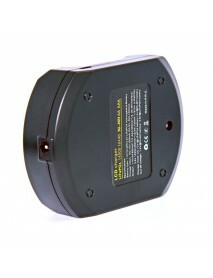 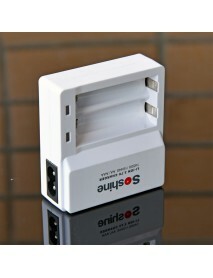 Soshine C5 Super Quick Battery Charger for 14500 /.. 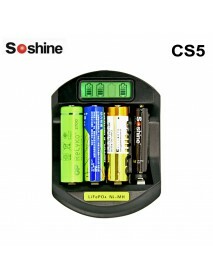 Product specificationsLCD Super Quick Battery ChargerSmart Charger for 1-4pcsLiFePO4 3.2V 14500 1044..
Soshine F3(Li) Charger for Li-ion 14500 10440 NiMH.. 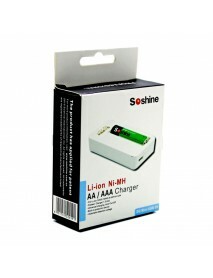 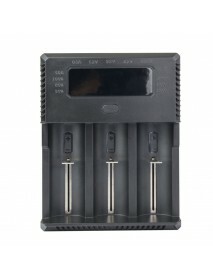 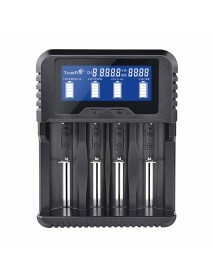 Product specificationsLi-ion 14500 10440 NiMH AA AAA Battery Charger | F3(Li)Model:F3(Li)Capacity:-B..
Soshine F7(Li) Li-ion 14500/AA 10440/ AAA (3.7V) A.. 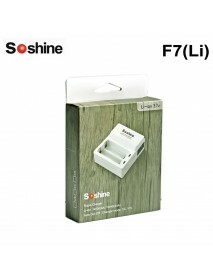 Product specificationsLi-ion 14500/AA 10440/AAA (3.7V) AC Intelligent ChargerModel:F7(Li)Capacity:-B..
Soshine H4 Universal Adjustable Current Charger--B.. 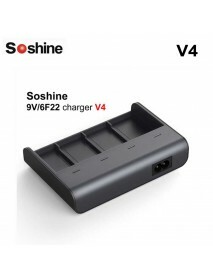 Product specificationsLCD Universal Adjustable Current Chargerfor Li-ion 3.7V 26650 18650 18350 1634..
Soshine M20 LCD Universal Charger for Digital Came.. 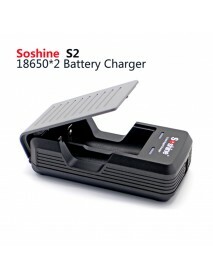 Product specificationsThe intelligent charger can connect the power from supplied AC power adap..
Soshine S1 4 x 18650 Li-ion Battery Charger for 18.. 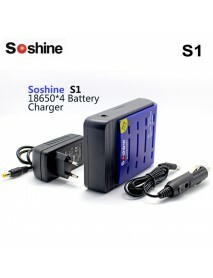 Product specificationsQuick charge This charger is an intelligent charger especially designed t..
Soshine S2 Li-ion Battery Charger for 18650/17650-.. 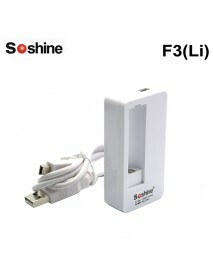 Product specificationsThis charger is an intelligent charger especially designed to charge rechargea..
Soshine V1(Fe) 9V Li-ion Ni-MH LiFePO4 Rechargeabl.. 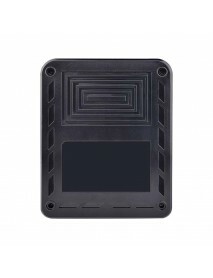 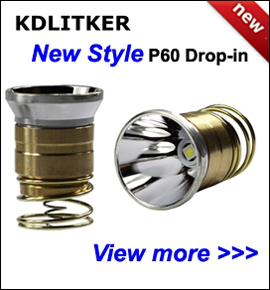 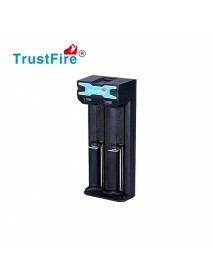 Product specificationsModel:V1(Fe)Capacity:-Battery Type:-Input:AC 90-260VAC, 50/60HzOutput:Li-ion 8.. 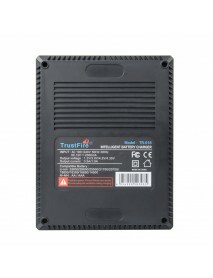 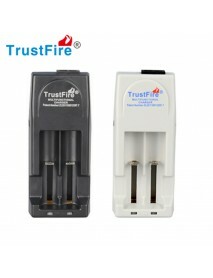 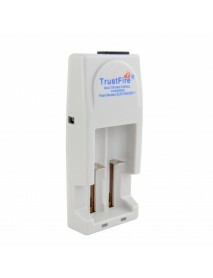 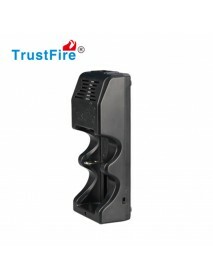 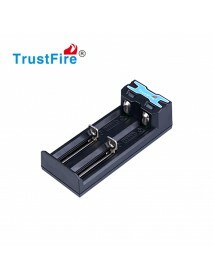 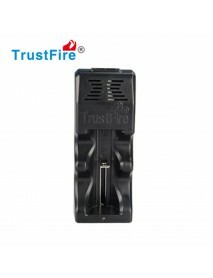 Product specificationsModel:V4Capacity:-Battery Type:-Input:AC 90-260VAC, 50/60HzOutput:Li-ion 8.4V&..
TrustFire Micro USB TR-016 Charger for 0440 / 1450..
TrustFire Micro USB TR-016 Charger for 0440 / 14500 / 16340 /17335 17670 / 18350 / 18500 / 18650 Bat..
TrustFire TR-001 500mAh 3.7v Battery Charger for 1..
TrustFire TR-001 500mAh 3.7v Battery Charger for 10430 / 10440 / 14500 / 16340 / 17670 / 18500 / 186..
TrustFire TR-003 Rechargeable Li-ion Battery 17670..
TrustFire TR-003 Rechargeable Li-ion Battery 17670 Battery ChargerModel:	TR-003P4Intput 1:	100-240VI..
TrustFire TR-005 3V Battery Charger for 25500 / 26..
TrustFire TR-005 3V Battery Charger for 25500 / 26650 / 18650 / 18500 / 17670 / 16340Brand:TrustFire..
TrustFire TR-018 Charger for 32650 / 26650 / 25500..
TrustFire TR-018 Charger for 32650 / 26650 / 25500 / 21700 / 20700 / 18650 / 18350 / 16650 / 14500 B..
TrustFire TR-020 4 Slots Intelligent QC 3.0 USB Po..
TrustFire TR-020 4 Slots Intelligent QC 3.0 USB Portable Battery ChargerModel Number:TR-020Input vol..